No, no. We don’t mean to say that what she has is the fake Barbie. 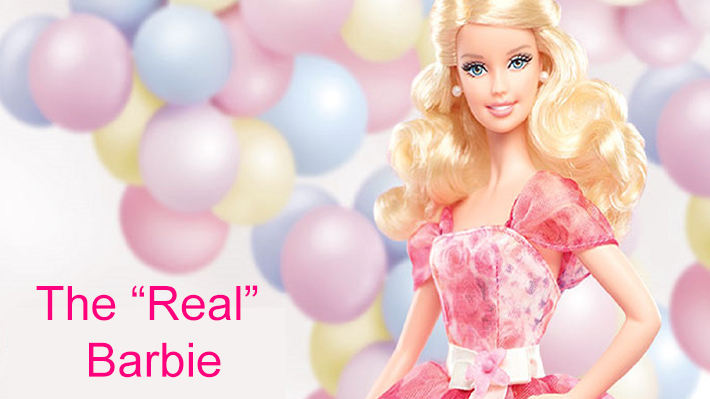 Barbie is not fake, just that she is too ‘dolled up’ to be true. For over 65 years Barbie has been this “perfect” looking doll, so perfect that it was to fanciful for the real world. Now to add some real-girl feeling to Barbie, Mattel have come out with the Barbie Fashionista line that has three new Barbies in curvy, petite and tall body shapes. Now that’s some “real” good thinking someone’s put in. Get your little princess the new all new Fashionista Barbie and tell her that our so-called imperfections only us more human, just like her new Barbie.